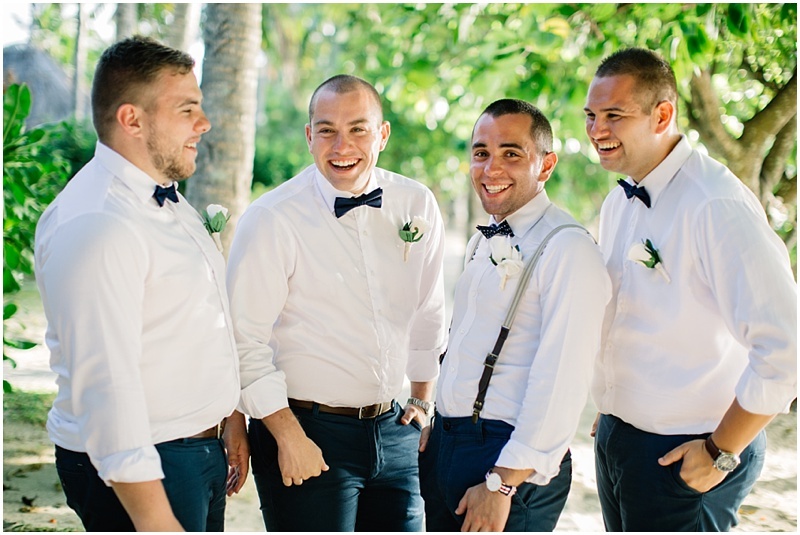 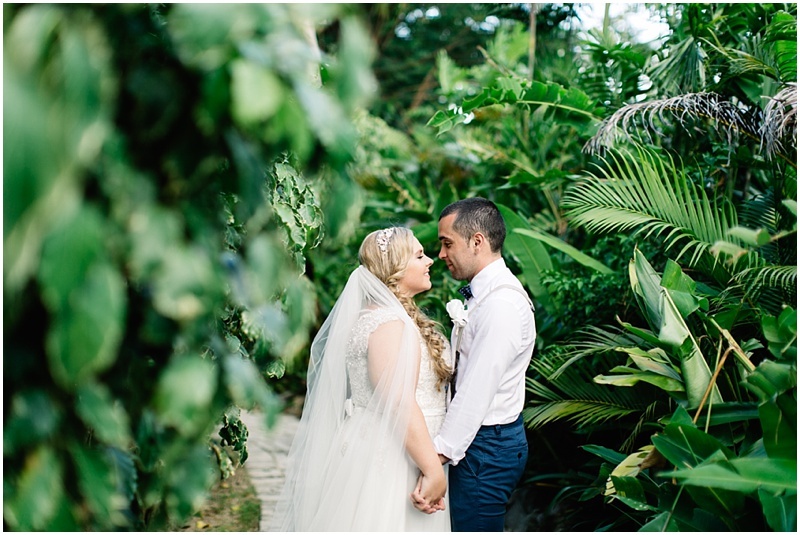 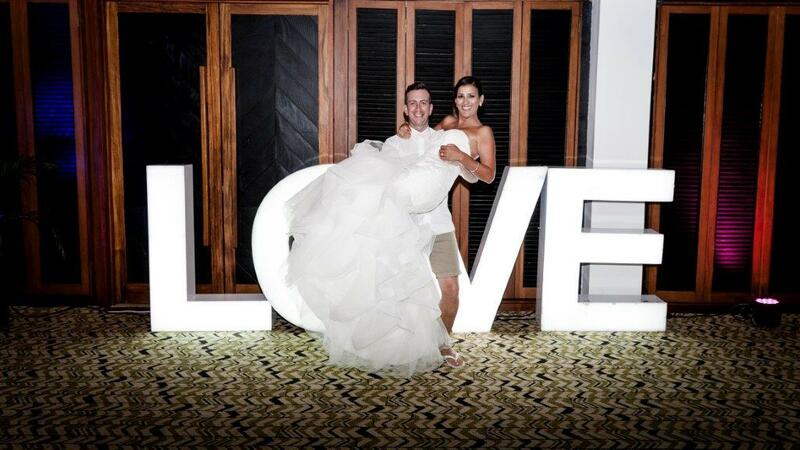 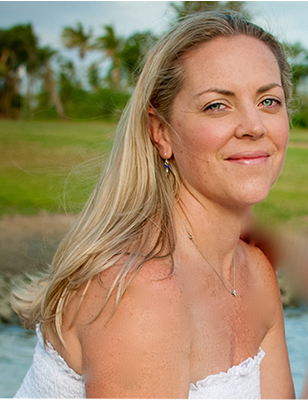 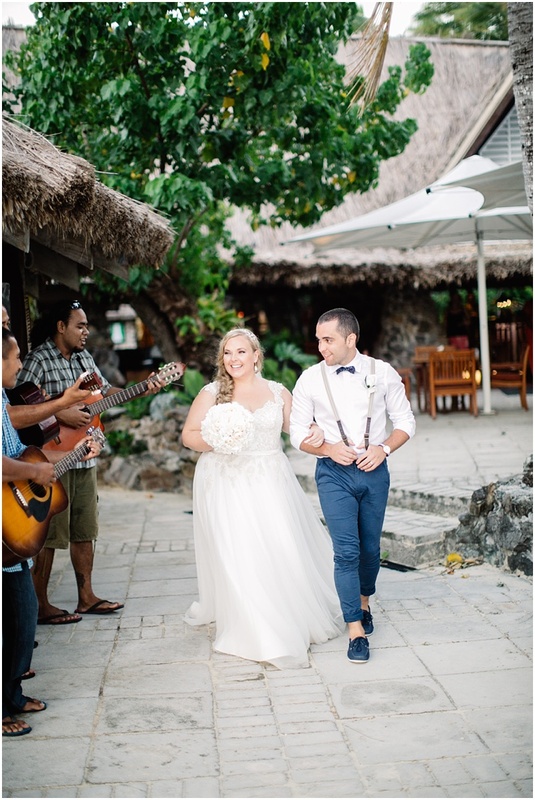 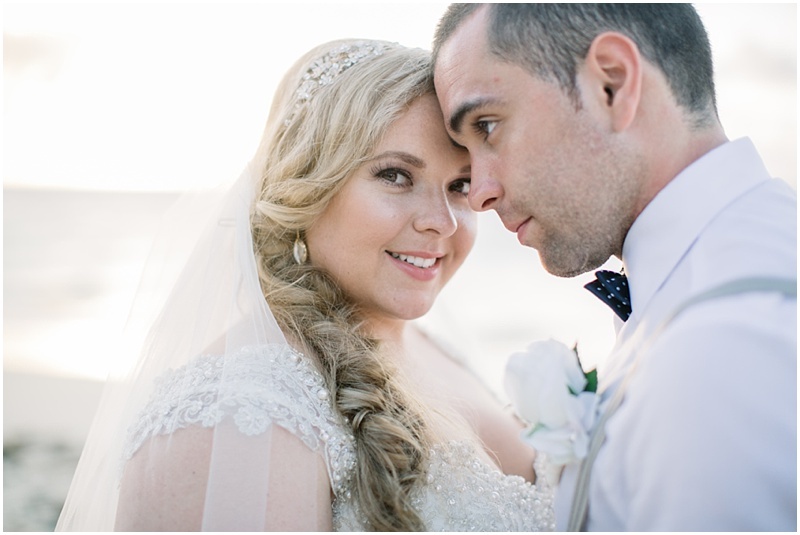 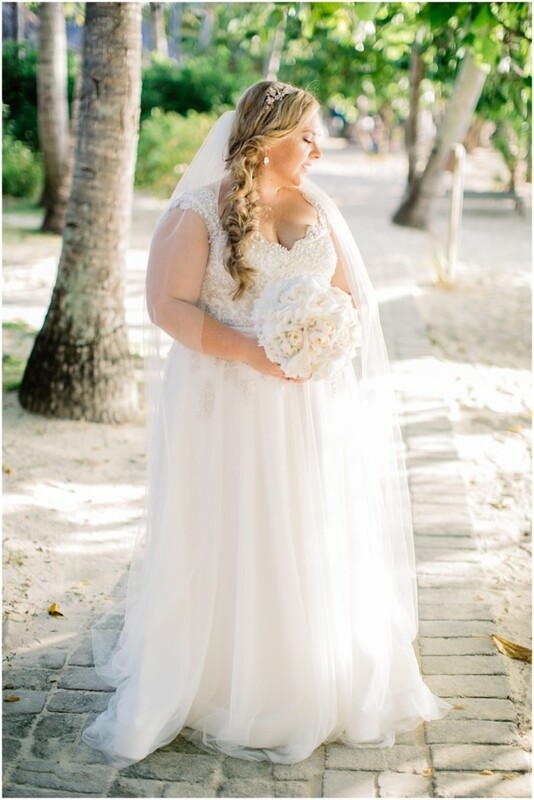 The Sheraton Fiji is one of our favourite locations to plan a wedding, so when Carly & Nick contacted us to help them plan their wedding day there we were excited to assist! 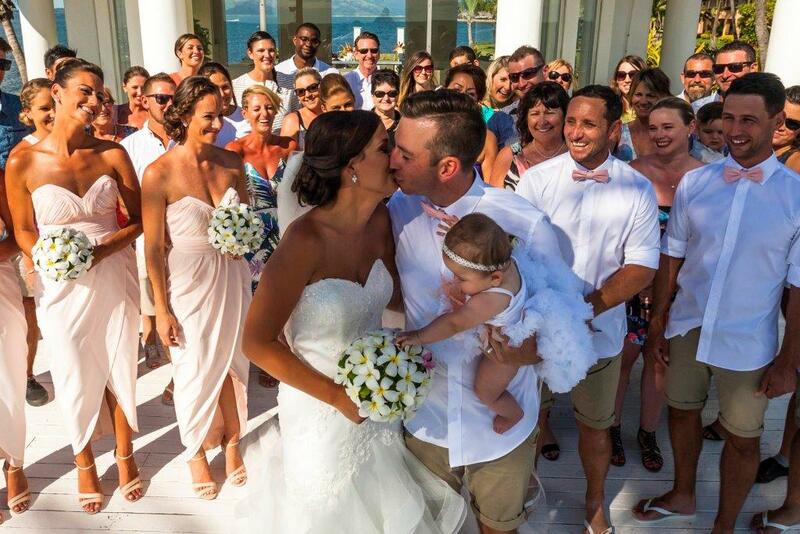 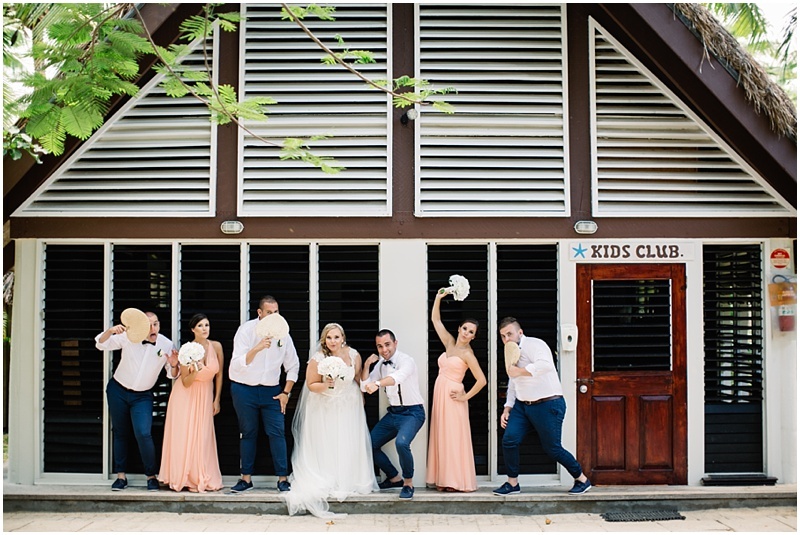 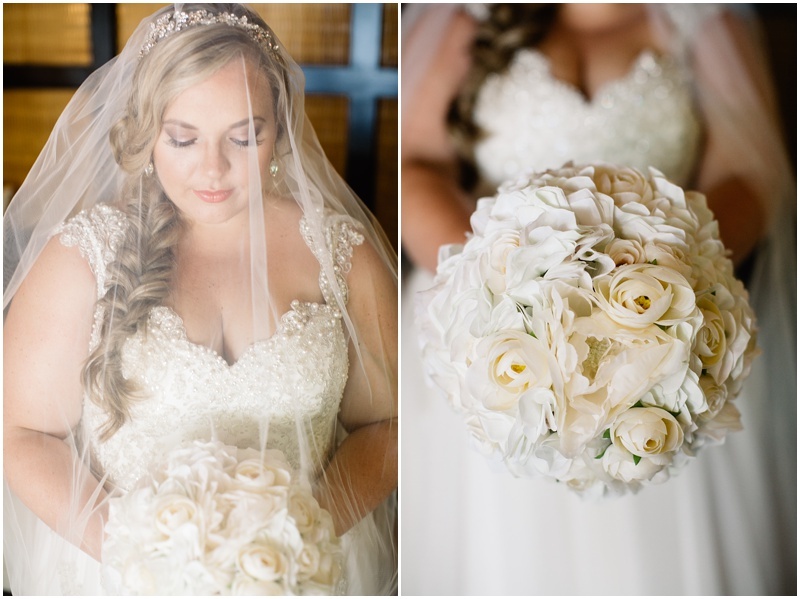 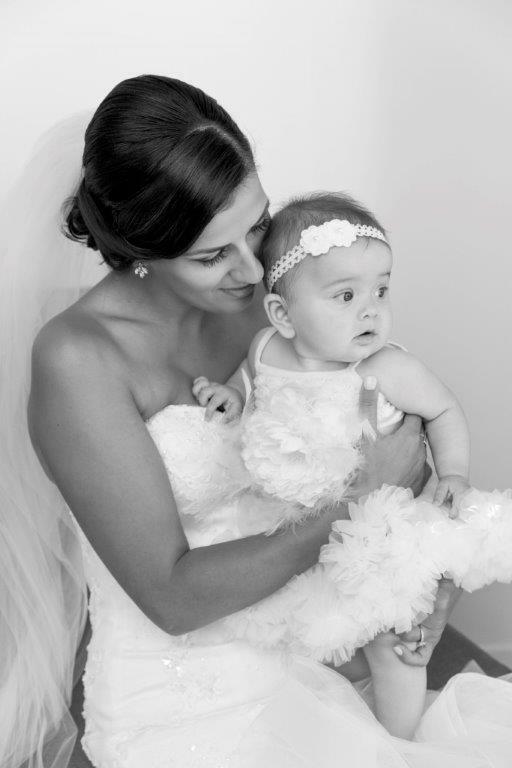 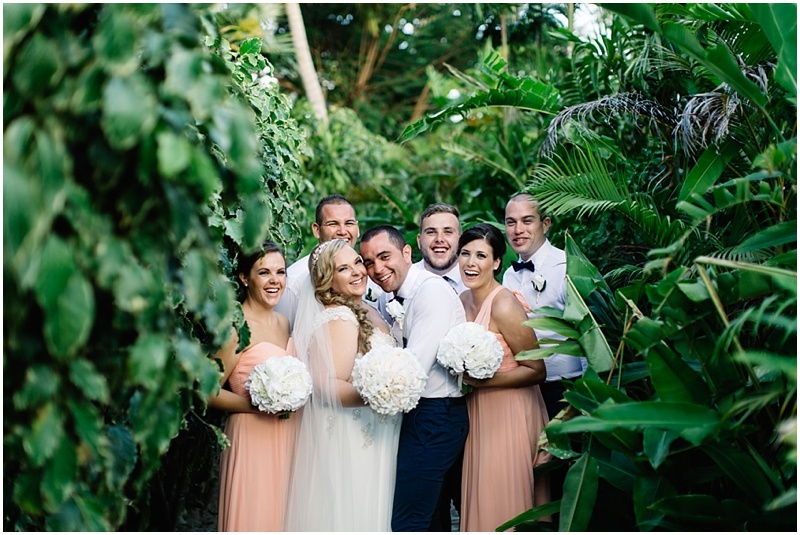 Surrounded by 40 of their closest family and friends, Carly and Nick were married in the beautiful Paradise Chapel. 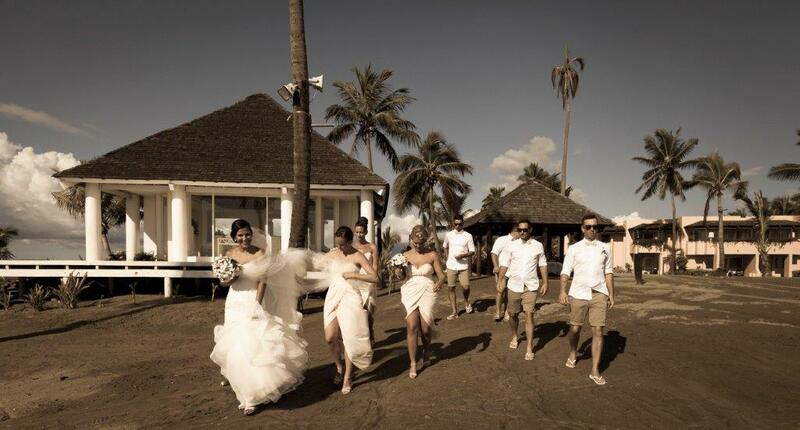 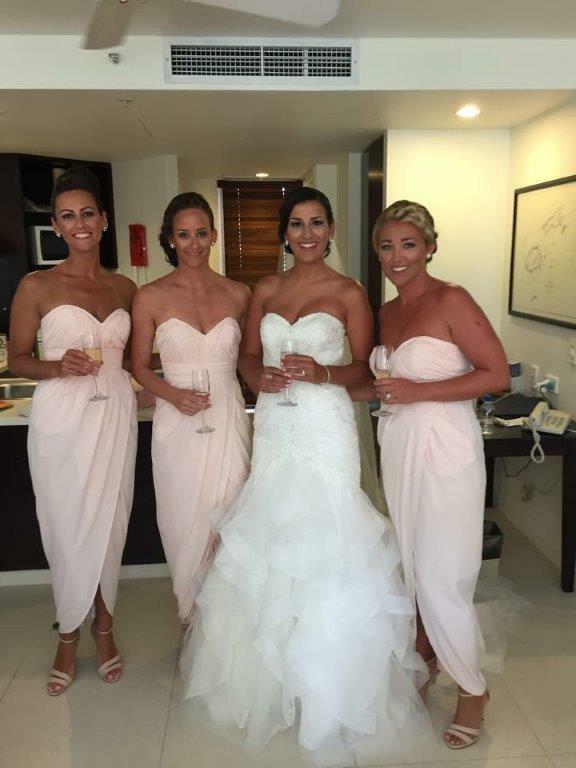 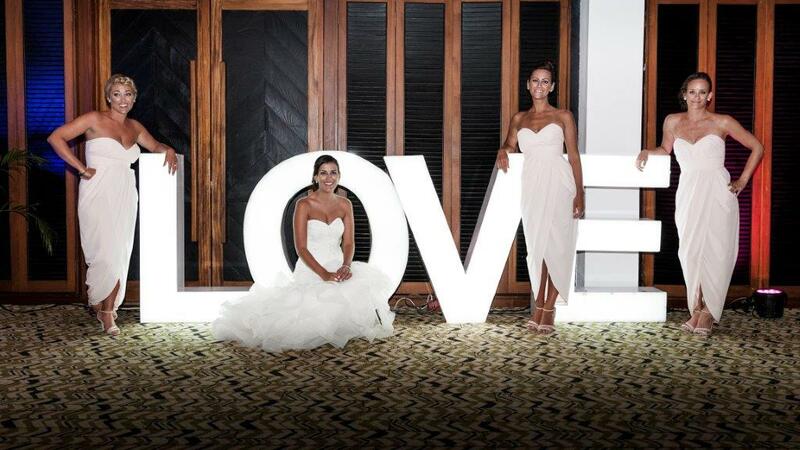 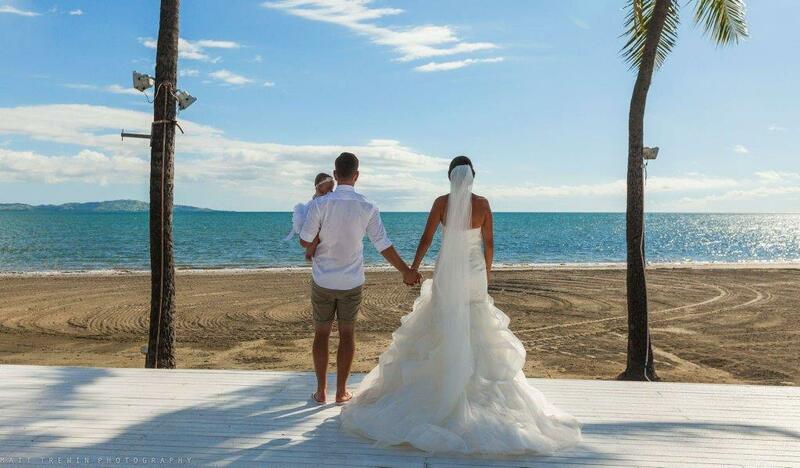 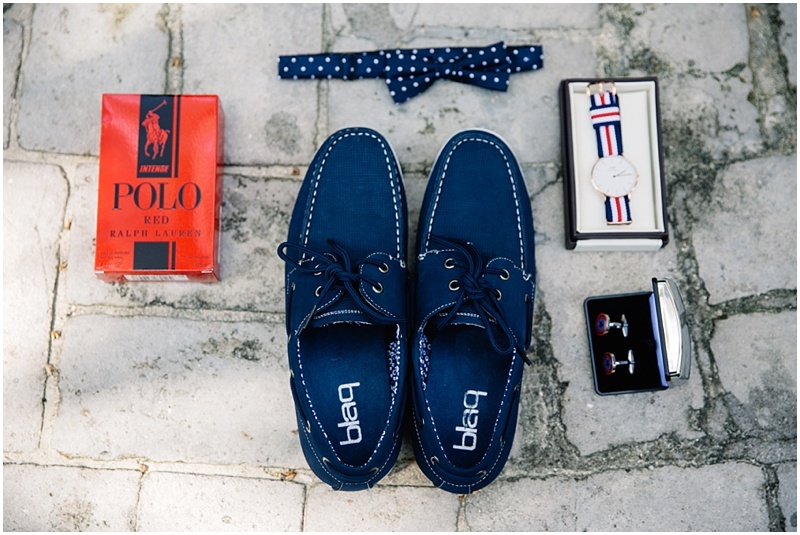 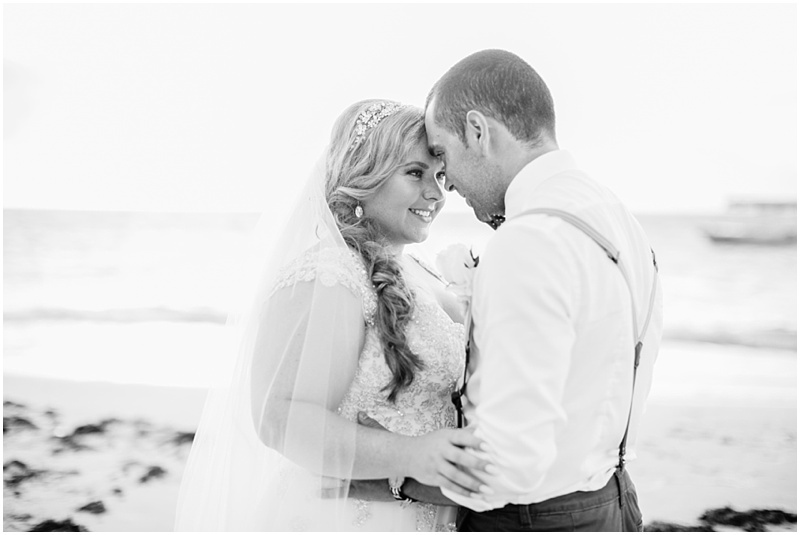 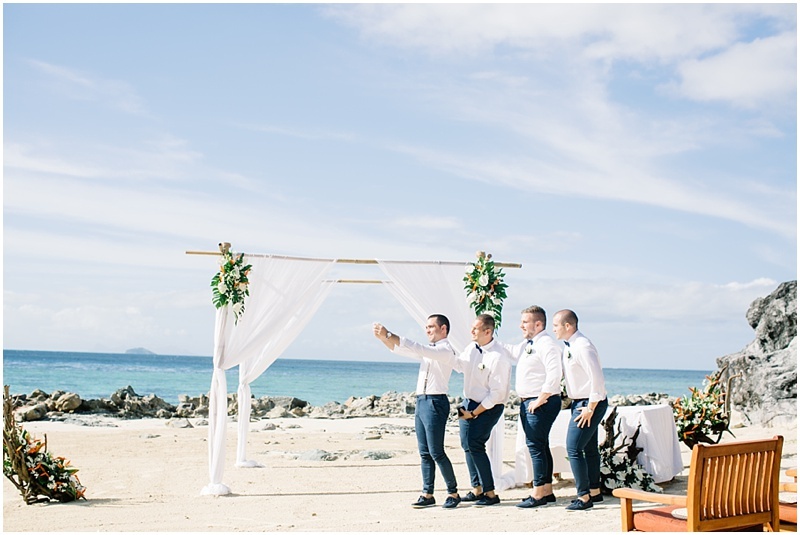 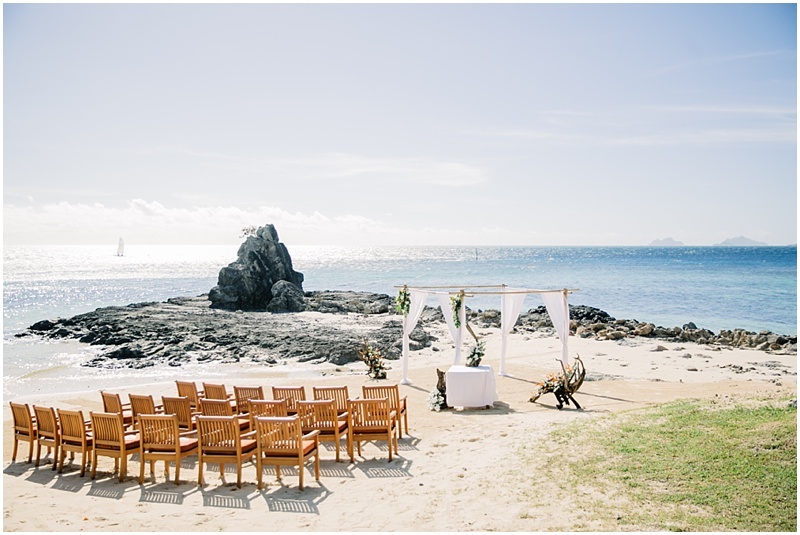 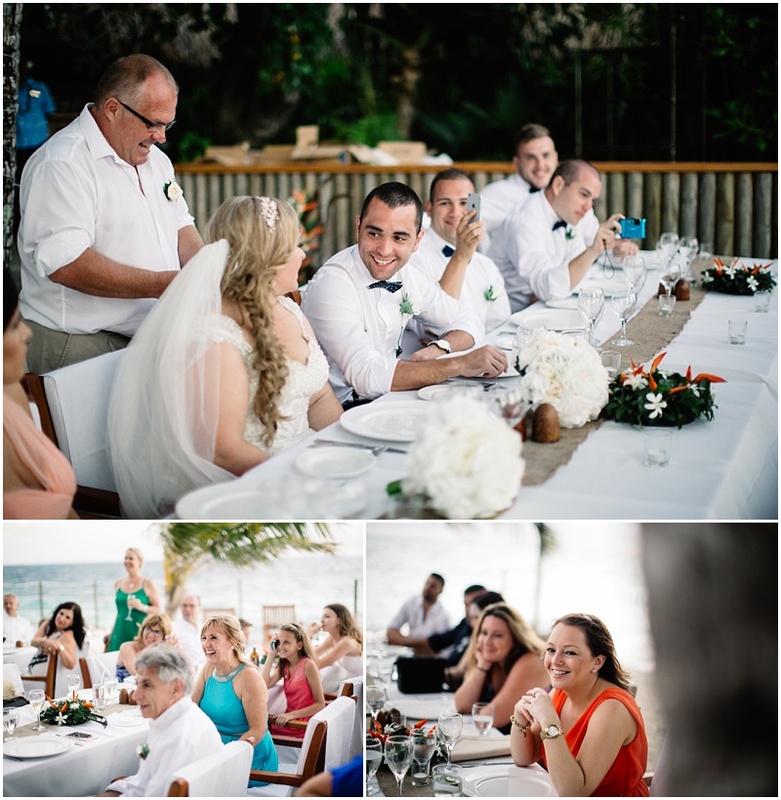 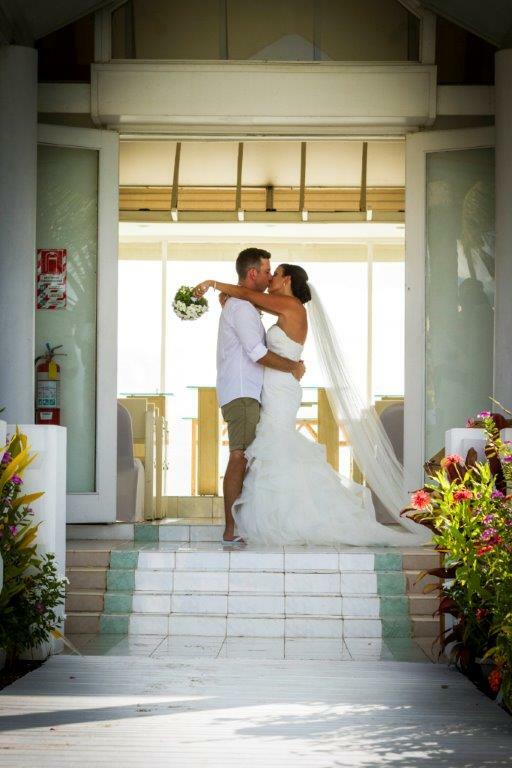 Positioned right on the beachfront, the Chapel offers the most amazing backdrop for wedding ceremonies. 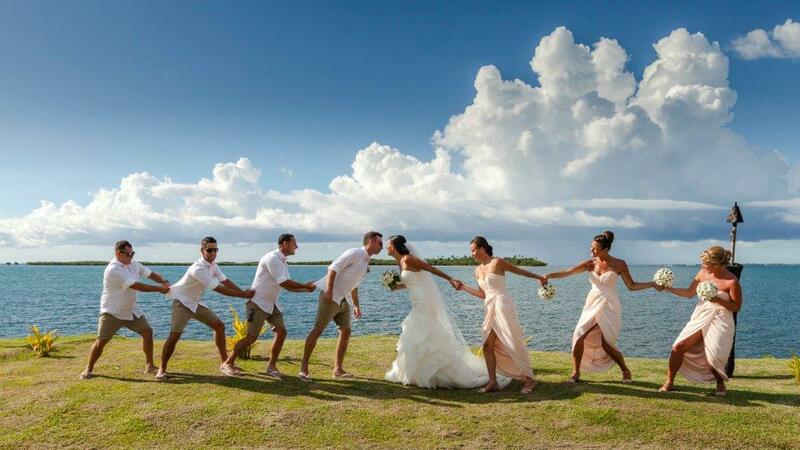 Due to the prediction of rain, the reception was moved from the lawn area near the beachfront to the ballroom at the Westin Denarau Resort & Spa. 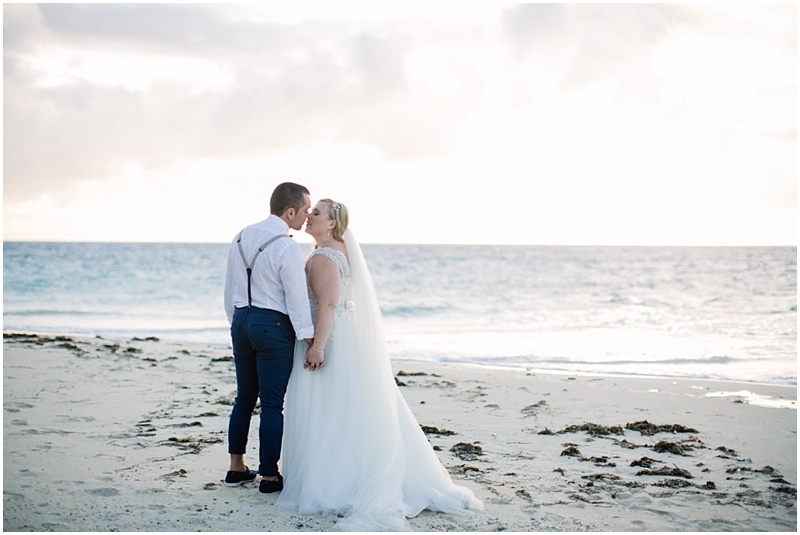 The ballroom was set up just as though it was still on the beach with fairy lights and lanterns strung up over the reception area and tables decorated with vases of floating pink frangipanis. 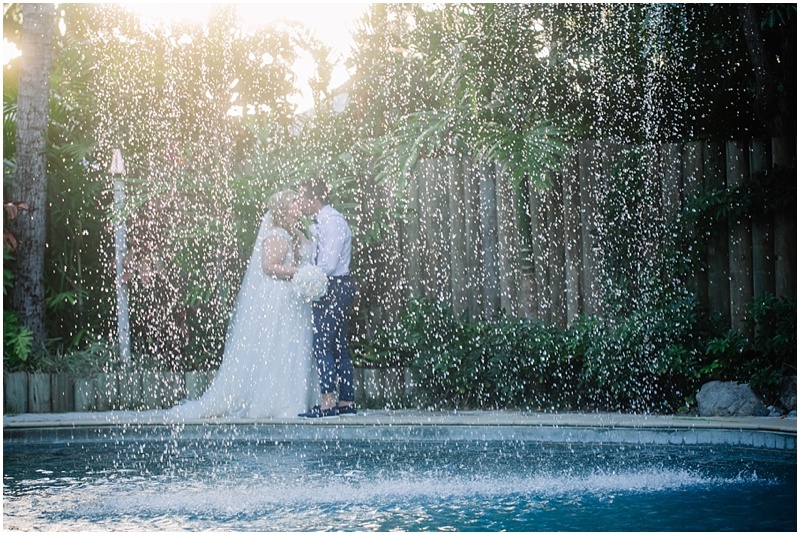 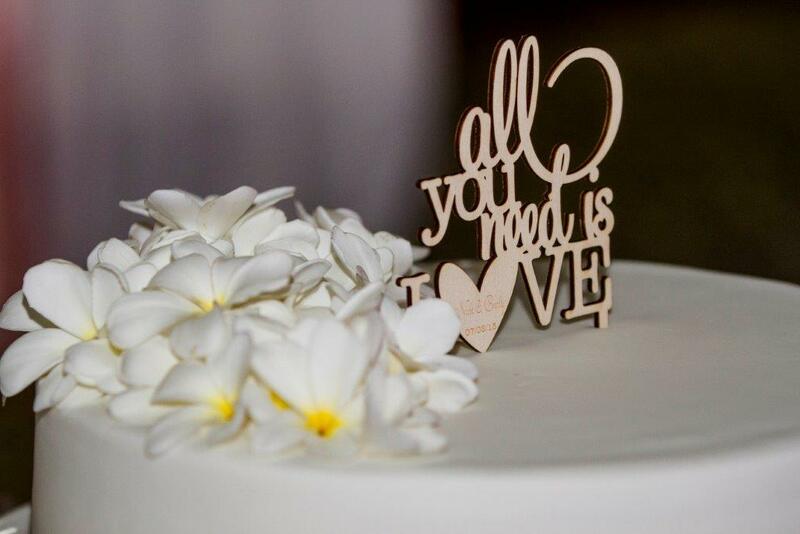 Even though their wedding didn’t quite go to plan with their wet weather option coming into play, Carly and Nick said that overall the day was amazing and were especially impressed with the food, cake and service that the staff provided during the reception.